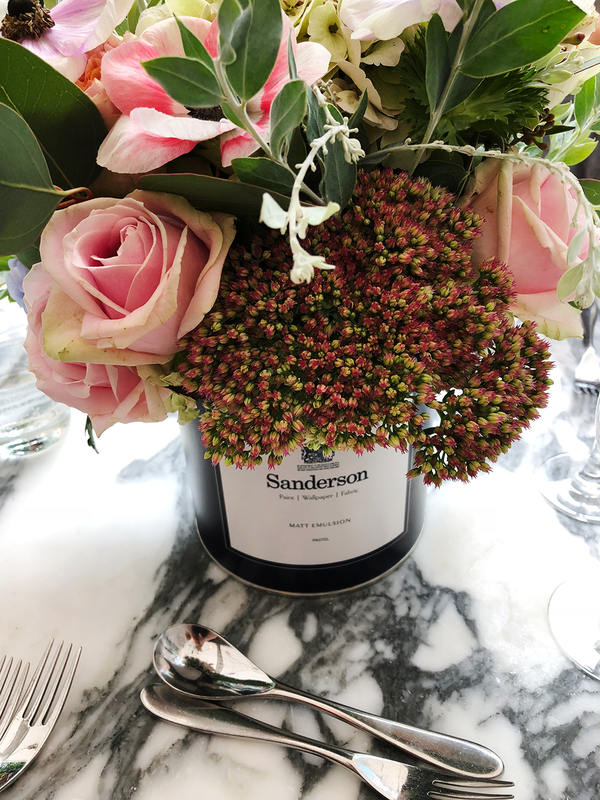 A few weeks ago I spent a lovely day at the Sanderson Hotel in London with Sanderson for a colour workshop and to check out their re-launched paint collection, including no less than fifty new shades. That’s right, fifty! 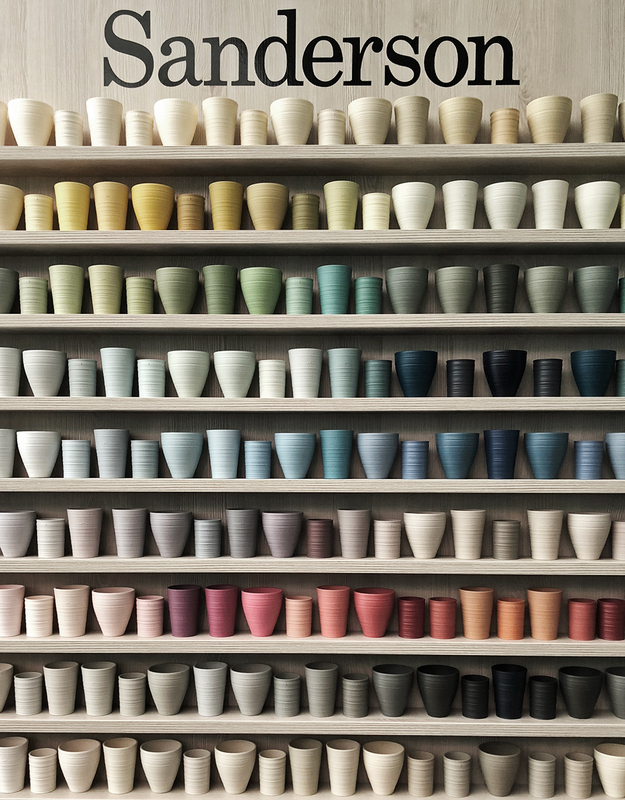 Their new colour card is a delicious feast for a paint lovers eyes, and I found it tricky to narrow down my favourites. In fact so much so, that I ended up needing a crazy number of tester pots to help me decide what colours I was going to use for my projects (and before you get cross with me, don't worry, I send all my no longer needed tester pots to the art department at my daughters secondary school, where it is much needed and well used). Did you know that the Sanderson Hotel is actually the original showroom of the brand? It's ridiculous to think that that I’d never put two and two together before this event, especially as I’d been known to spend a bit of time there propping up the bar before kids. Or maybe because of that.... Either way, it was lovely to know about the buildings history, and to be there whilst hearing about the new paint colours. 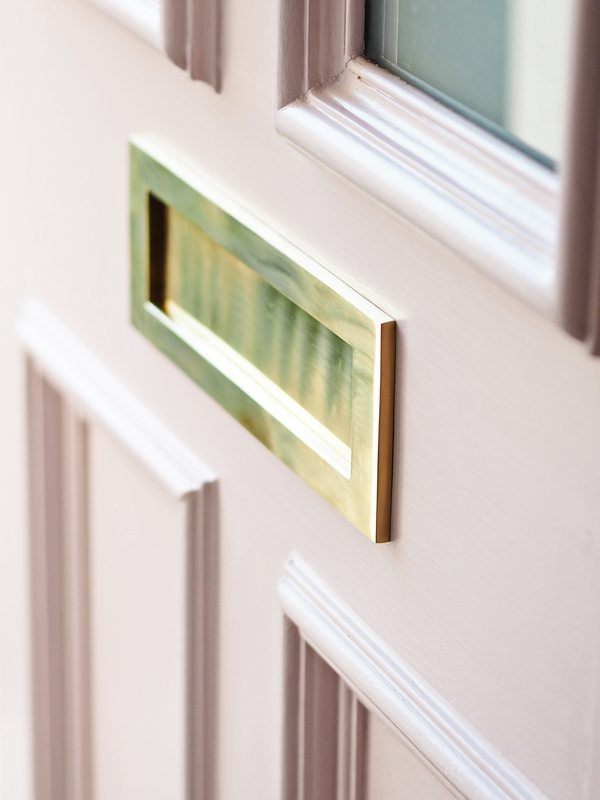 I was looking for a new colour for the front door - a job that had been on my list for over two years (eek! 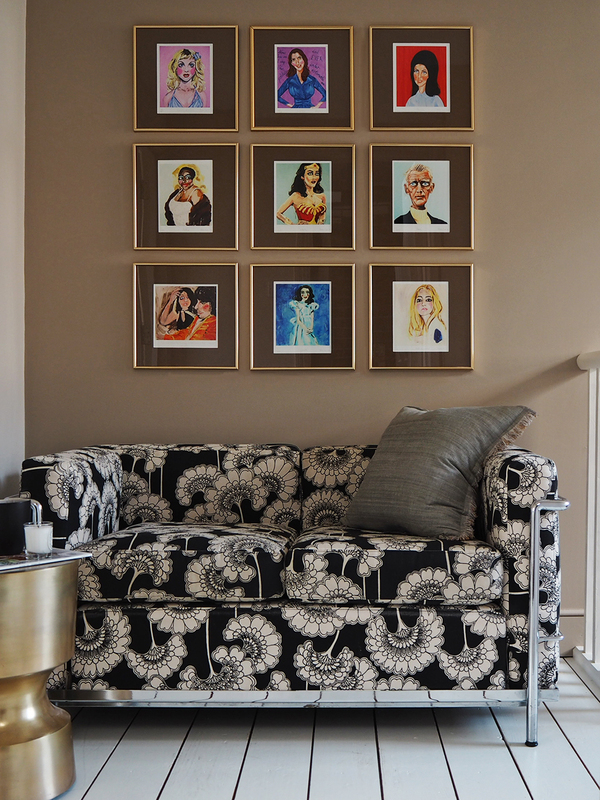 ), a hall colour, and a deep rich colour for one wall on the top landing. 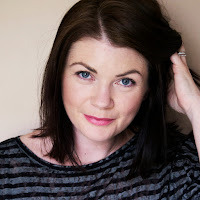 A spot very rarely, if ever seen on my blog! I’d originally been planning to paint the front door a lilac shade, but in the end pink won out, and I went for Rose Ash Light. 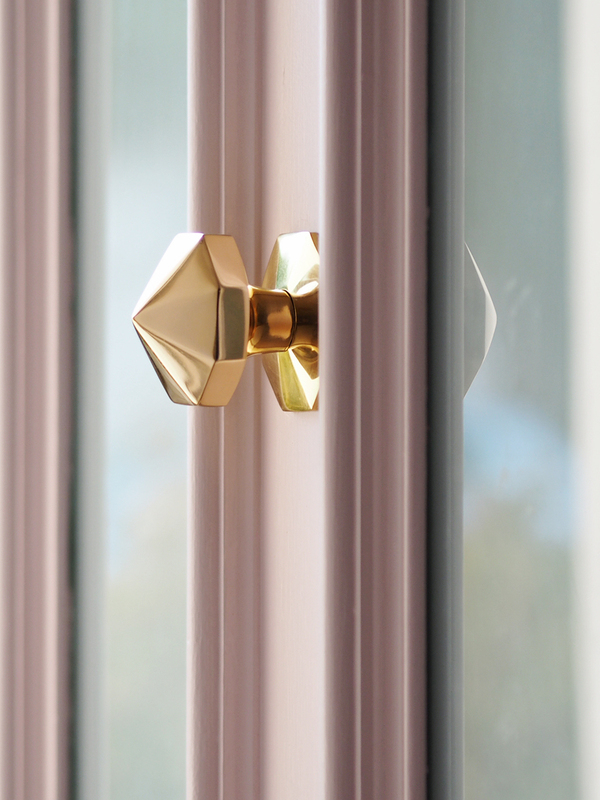 A very pretty pale pink shade, that is really set off so beautifully by the new brass hardware. I absolutely love it. More than I even thought I would, and it makes me happy every time I come home. You can't argue with that now can you? As with so many things that I take ages to get around to doing, it was actually a really quick job, requiring only a light sand, and a coat of primer, followed by two coats of the colour. I used the water based Eggshell which is suitable for interior and exterior woodwork, it's is a really great consistency and super easy to work with. 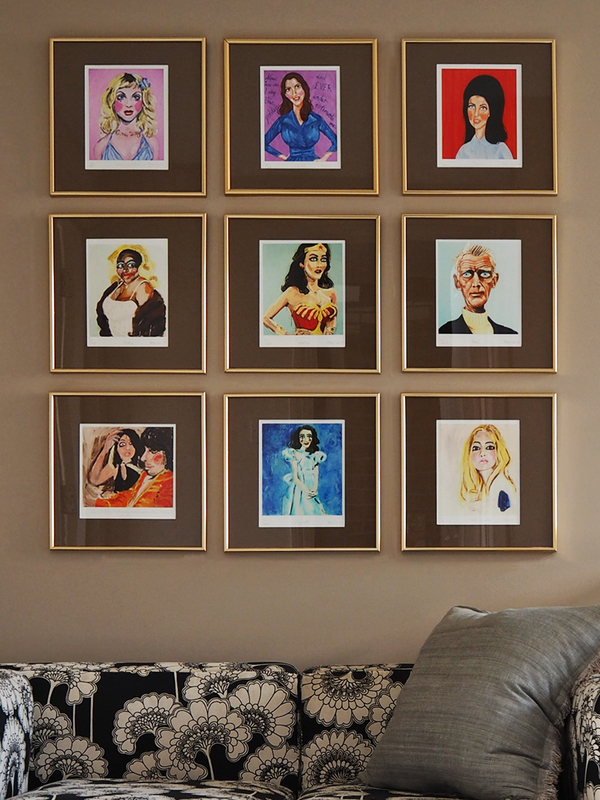 I had heard good things about Sanderson paint, and they were all true, and the coverage was brilliant. 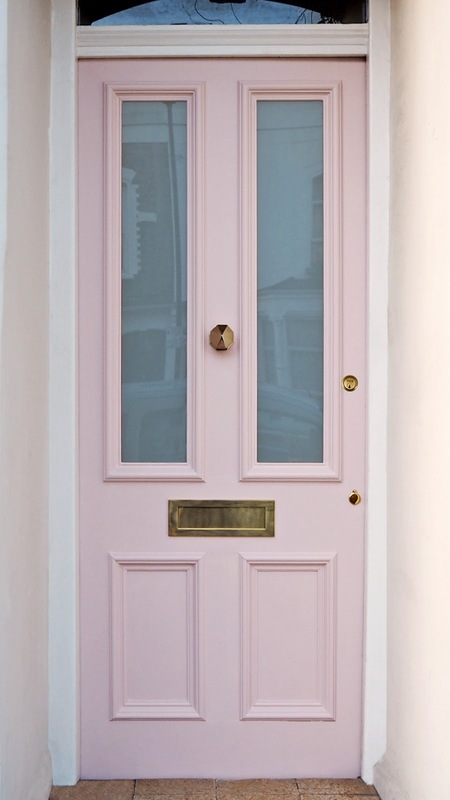 I love the pink so much, that I'm thinking about doing the inside of the door too. Who am I kidding? I'm totally going to do the inside of the door - such a beautiful colour! For the majority of the hall I've chosen Birch White, which is a really beautiful warm off-white, that is firmly on my list of brilliant light neutrals. I've said before that these colours are particularly tricky to get right, so I keep a list of the best ones. 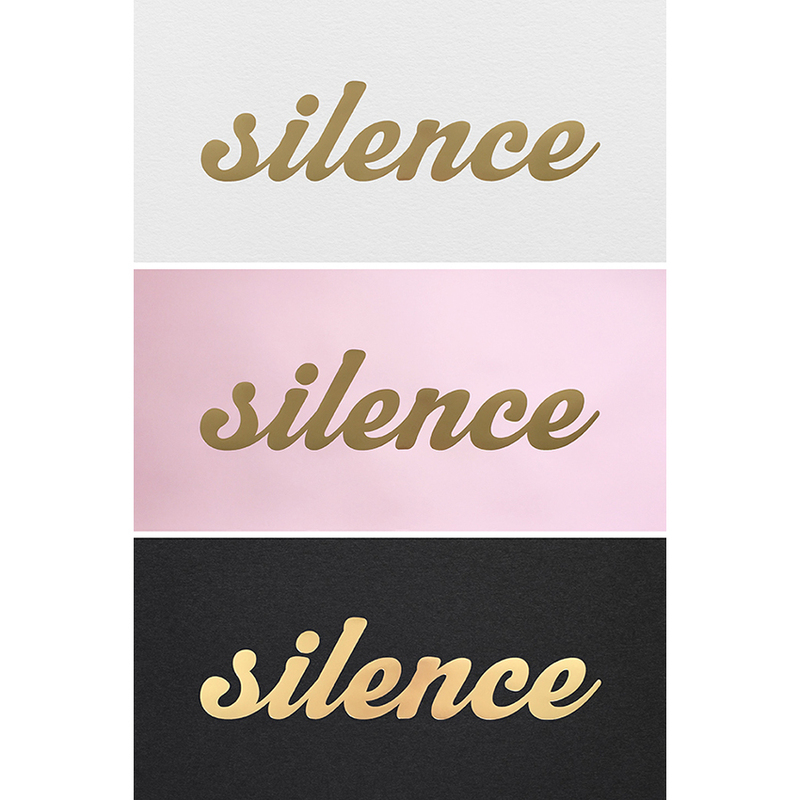 This will eventually go on all the hall, stairwell and landing walls and I'll do all the woodwork in the same colour. However, as anyone that's taken on the painting of a hall, stairwells and landings in a three storey Victorian semi will tell you, this is not a quick job, so I'll be updating you when that's done in the new year. I'm looking forward to this brighter but still warm shade going on, as a fresh coat of paint in the hall is particularly satisfying! 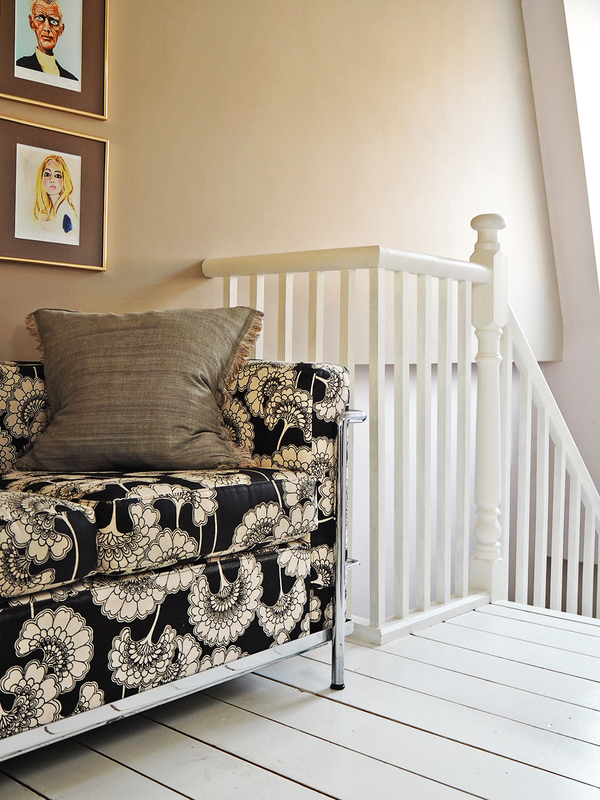 At the very top of the house on the landing, I wanted to create a little reading area and use a deeper shade on that wall to zone it and make it feel extra cosy. I chose Beech Grey, which is definitely more brown than grey to my eye, and I absolutely love it. This spot is flooded with light, so during the day it's anything but dark, but it has a beautiful richness, with the shade adding a definite air of boutique hotel chic to the space. At night by lamplight it's deep and inviting. And in fact, again I'm thinking of taking the colour onto all the walls on this landing - seems a shame to just have one wall of such a lovely colour. 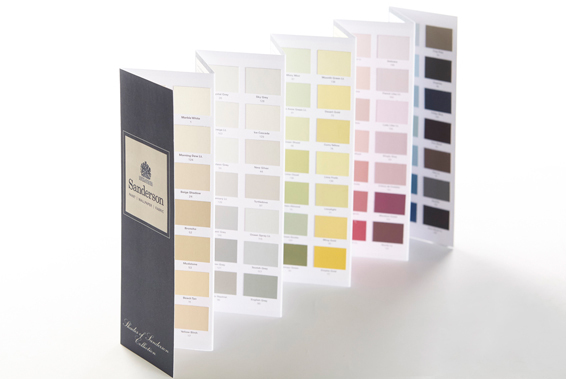 I'm super pleased with my colour choices, and the Sanderson collection of 154 colours is a great size. Enough so that it's not too limited, but not too many as to be completely overwhelming. As Goldilocks would say, this is juuuuuust right. Do go and check out the range yourself here. This post is in collaboration with Sanderson.